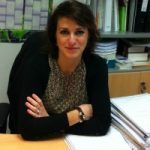 Dr. María Almeida Parra holds a degree in Pharmacy from the University of Salamanca (2000) and obtained her PhD in 2008 at the University of Salamanca. Currently, she is the Technical Director Assistant of the BNADN (8 years of experience –y.exp.-) and researcher at the Cell Separation Facility of the USAL (3 y.exp.). Her main research activities are focused on biobanking, flow cytometry and cell sorting.